Whether your vehicle is brand new to you or you've owned it for 40 years, being deeply grounded in its current state is critical. To help with that process, we have designed a series of custom inspection services for all the vehicles we work on - Vanagons (air- and water-cooled), Eurovans (5- and 6-cylinder models), and older busses (bay windows and even splitties). Our Inspection Service is designed to give you a comprehensive understanding of the current state of your vehicle. We spend up to 4 hours and inspect every system, including a substantial test drive to gather qualitative date and get an overall "feel" for the van. Following the test drive, the technician evaluates the vehicle system by system. At the end of the inspection process, you will have a very detailed picture of your vehicle. Our service writing team will review the report with you in detail, spending as much time as you'd like - some customers spend 90 minutes, some spend 10 minutes; it depends on the van and you. You can choose to schedule some work immediately, plan some out for the future, or just sit with the new knowledge you have. Regardless, you will have a complete roadmap for the next 5-10 years of ownership and a realistic picture of the investments you need to make relative to your goals. We are able to do 2-3 of these a week and they are not available as a "buyer's inspection" - they tend to need to be scheduled 2-4 weeks in advance. Check for oil leaks - rear main seal, crank pulley seal, push rod tube seals, head gasket leaks, etc. 'We knew we wanted a Westy, but we had no idea where to start. We called Peace Vans, and even though they don't sell vans, they were incredibly helpful walking us through the process. Harley even toured us through their entire shop, showing us different examples of vans, pointing out features and things to be on the lookout for (rust! ), and giving us an idea of price points. 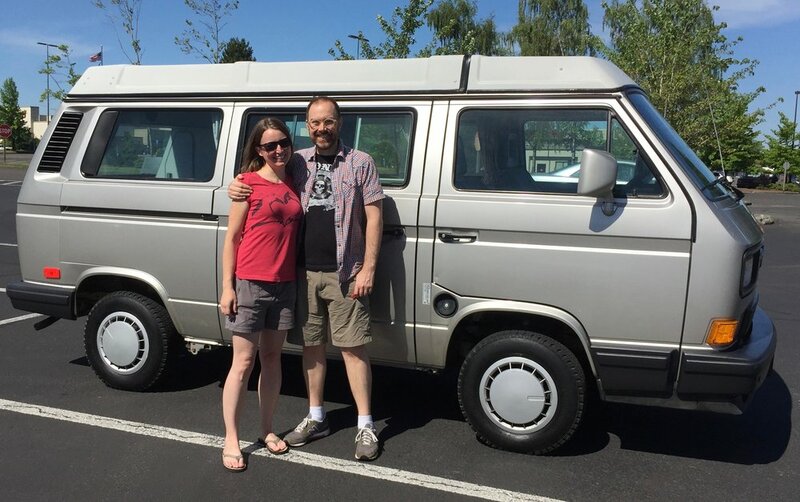 That visit empowered us to test drive different vans, and when we bought ours just outside Portland, our first stop (after an inaugural camping trip!) was Peace Vans for an inspection. As new owners, we wanted to have a comprehensive understanding of the mechanical systems and what our service priorities were. Peace Vans spent a tremendous amount of time with us reviewing their report, and we were able to take care of the urgent service items while also planning a road map for the next several years. Our inspection service for Eurovans involves completing the next factory recommended service for your vehicle. During that process we will evaluate your van, and our service writing team will verbally summarize the condition and any future work needed for you. This service costs between $500-1,200 but usually includes several major service items being completed (e.g. tune-up) in addition to the inspection. This approach gives us the chance to go deeper on your Eurovan than a normal mechanical service. We offer a comprehensive inspection service for VW buses as well. It's based on the Vanagon outline above but modified for the custom features of a bus. Depending on the model year, it can be either a three page or four page report we generate. Regardless, you can rest assured we have gone through everything on your bus and can provide a comprehensive read out to you. The price is $289.